Oops! An evil sorcerer Fred has captured Santa... So, there will be no Christmas? Of course no! 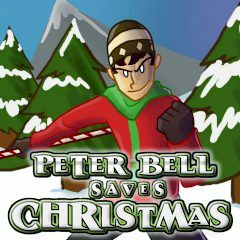 A good guy Peter starts his hard way to save Santa and Christmas. Help him to do it! Have fun!